An accident during a TV shoot in Downtown Long Beach ended up with a car crashing into a zip-line, causing a chain-reaction that yanked down a light pole Wednesday morning. Crews were using the zip-line to shoot scenes for the “Lethal Weapon” series this week. The cable was stretched across Broadway near the Promenade. 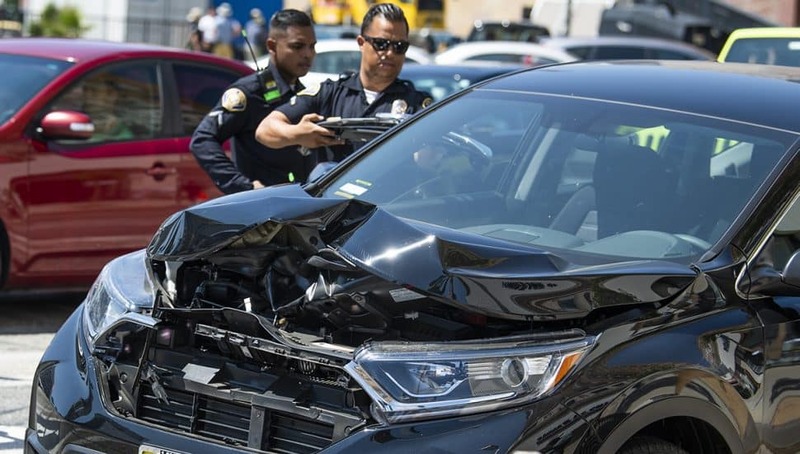 A Long Beach police officer places pieces of a Honda CR-V inside the vehicle after it collided with the. Photo by Thomas R Cordova. Crews had been intermittently closing Broadway to traffic while they tested the cable Wednesday morning, Long Beach Police Department spokeswoman Nancy Pratt said. “Once they opened traffic back up there was some sort of malfunction with the line at that point,” Pratt said. The line ended up hanging into the street, where it caught on the bumper of a Honda CR-V driving through at around 11:30 a.m., according to police. “Then the line caught a light pole and caused that to come down,” Pratt said. Nobody got hurt in the accident, but a woman riding in the Honda had a separate medical issue and was taken to get treatment, Pratt said. 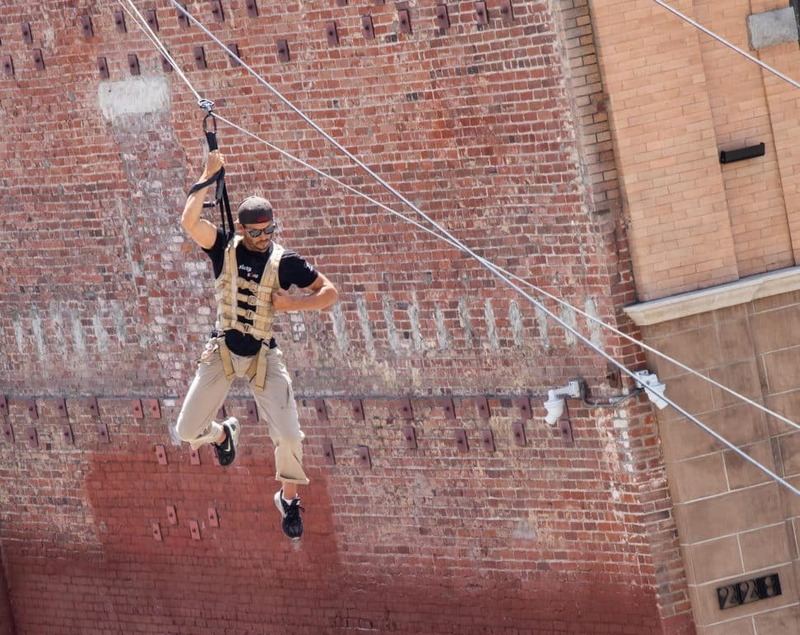 A stuntman zip-lined across Broadway Tuesday afternoon in a practice run for a scene from “Lethal Weapon.” Courtesy photo.